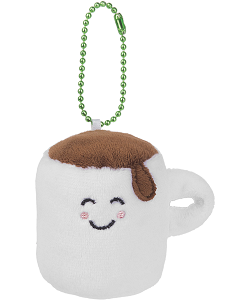 Meet Scrumchum Cocoa Hot Chocolate, this scrumptiously fun cocoa plush keychain that brings a whole new meaning to playing with your food. 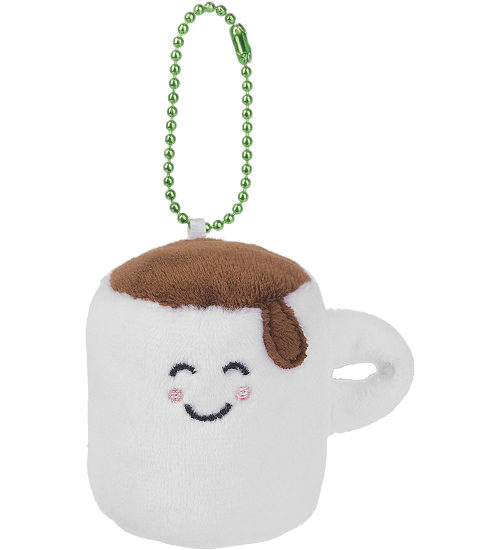 With a soft cup of white plush overflowing with rich brown plush cocoa and an adorable embroidered, ever-smiling face, this cute plush cup of hot chocolate sports a bright green keychain so Cocoa can accompany you on all your imaginative adventures. 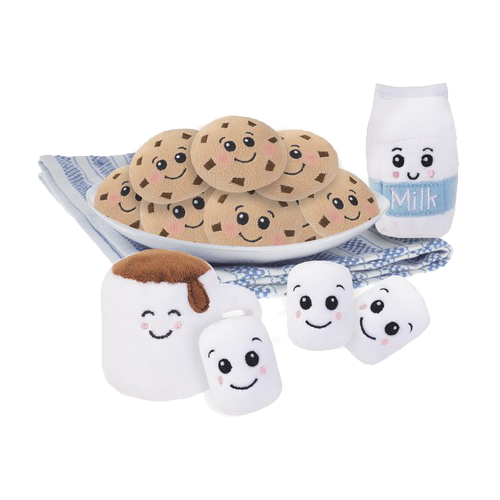 Scrumchums plush food key chains are fun to mix and match, collect and trade, seeking out all the Scrumchum foodies and their BFFS - Best Foodie Friends! 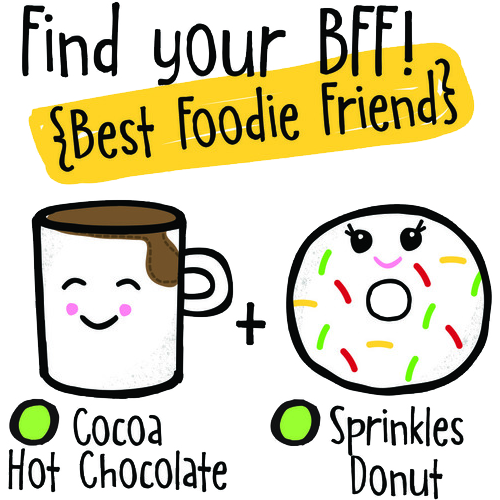 Cocoa's BFF may be Sprinkles Donut, but Cocoa has other friends as well. Who would you put in Cocoa's posse? Orchard Apple has a soft bright green body, felt stem and leaf, and ever-smiling face. Orchard's BFF is Flakey Pie.